Make it today, wear it tonight! Students will practice and perfect soldering skills, while creating a unique pendant. 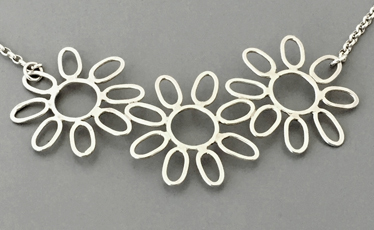 Since the oval shape is such a foundational design element, pre-made sterling silver jump rings made into ovals make the perfect building block for designing. Soldering experience is helpful, but adventurous beginners are also welcome.